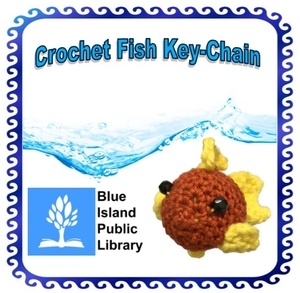 For the love of yarn, learn how to make this little crochet fish! We are calling it a key-chain, but you can use it for a multitude of things like a pet toy (minus the beads) or a zipper pull! You may want to bring your favorite 3.5mm or 4.0mm crochet hook, but it is not required. Basic knowledge of crochet is required to be able to complete this project! If you are worried about your skill level, please don't hesitate to contact me.